Just as property markets reached a peak around 2009, a global recession hit. This was followed by years of quantitative easing and artificially low interest rates. With depressed mortgage rates and borrowing costs, increased investment into property has once again caused housing prices to reach record highs. However, as the global economic outlook darkens heading into 2019, house prices are beginning to fall – sparking fears once again that values have peaked and a recession is on the horizon. 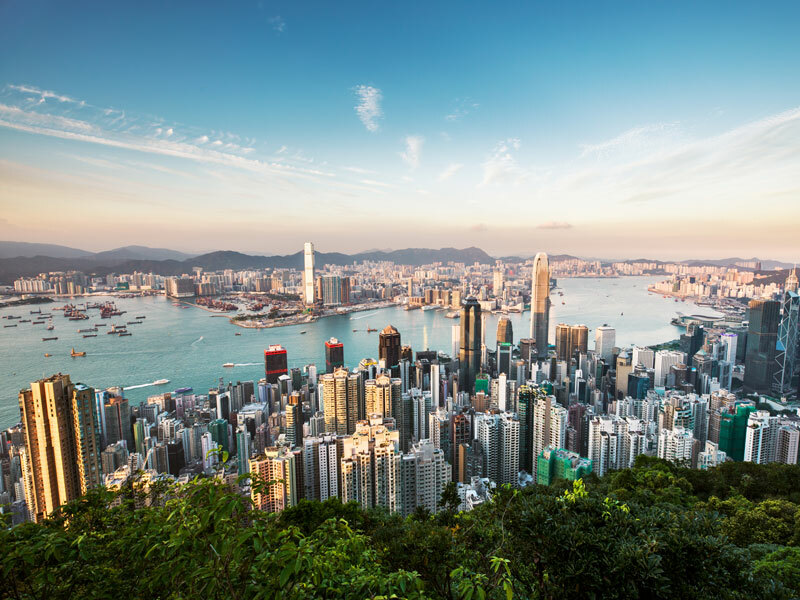 To counterbalance Hong Kong’s low-tax ‘laissez-faire’ economy, the government owns virtually every piece of land in the autonomous region, generating 27 percent of its revenue from land sales. Auctions have seen plots sell for as much as HK$17.3bn ($2.2bn) in a sector dominated by a few major – and controversial – tycoons. However, house prices have fallen since July 2018 following a 28-month consecutive rise. The US-China trade war, combined with rising mortgage costs, has slightly dented investor confidence. In addition, a vacancy tax is looming. It’s well known that developers sometimes hoard properties as prices appreciate. Now, the impending law will encourage developers and landlords to sell their properties, increasing supply. Like Hong Kong, Vancouver has felt the impact of foreign money – particular from China – with overseas investors snapping up property. “In every one of these cities, the market is being driven by something other than owner-occupiers,” geography professor David Ley told MoneySense. “Not just new immigrants, but investors, including offshore investment”. The inflow of foreign money is a result of ineffective regulations: real estate agents have found that the fines and suspensions for wrongdoing are paltry compared to the sizeable commissions earned on real estate transactions. Similar to Hong Kong, Vancouver has become a haven for money laundering, again often from China. Even the wealthiest and most influential Chinese citizens have fallen foul of Xi Jinping’s anti-corruption campaign, so thousands are looking for a safe place to store their money. Between 2016 and 2017, Sydney’s house prices surged by nearly 20 percent. However, it was recently reported that in 2018, Australian house prices dropped 4.8 percent nationwide. In fact, Deutsche Bank has identified a potential Australian housing crash as one of the top 30 risks to the global economy. In Sydney alone, values dropped 11.1 percent. Even so, living expenses in Sydney remain 11.7 times higher than the city’s average income. Due to the concentrated nature of Australian settlements, with a higher proportion of Australians living in cities than anywhere else except Hong Kong and Singapore, land supply in major cities is surprisingly low. As with the rest of Australia, Melbourne – despite being the country’s fastest growing city – is experiencing a drop in prices. Still, living costs remain high: like Sydney, Melbourne suffers from a similar supply-side issue. The Australian population’s penchant for larger detached properties also compounds the problem. Nevertheless, the nation’s falling interest rates, which have consistently declined over the past six years, have meant that demand for housing has remained high. Located on the southern shore of the San Francisco Bay Area, San Jose’s house prices have rocketed due to the success of Silicon Valley, situated on the city’s western tip. With houses being consistently purchased by the city’s high-earners or budding entrepreneurs – once more aided by low-interest rates – the average low-income resident spends 62 percent of their paycheck on rent. In the Santa Clara district, a typical family house is valued at roughly $1.2m. While this increase in value has led to more homes being listed on the market, many of them are out of reach for the average citizen.